SALT LAKE CITY – Utah’s Slim Hamza has been ranked No. 51 in ITA’s men’s preseason singles rankings, announced Monday. The standout senior has been ranked in the preseason for the third-consecutive year. Hamza defended a 13-8 singles record last year at the top position, and went 3-2 in conference play. He also recorded a 3-3 record against nationally ranked oppponents, including a phenominal 6-0, 6-2 victory over seventh-ranked ray Sarmiento of USC. Hamza received his highest ranking of No. 37 his sophomore year in 2012 and was ranked No. 84 last season as a junior. 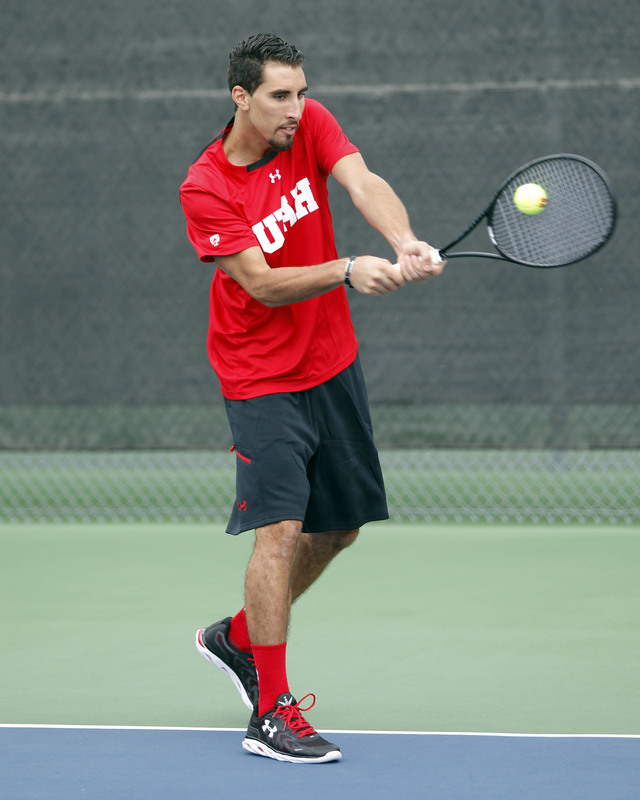 Be sure to catch Hamza and the Utes this weekend at the Utah Fall Classic in Provo, Utah, and as they compete at the F25 USA Futures Event in Costa Mesa, Calif. Check this website or utahutes.com for updates. This entry was posted in Uncategorized and tagged ITA, Roeland Brateanu, Slim Hamza, Utah Tennis, Utah Utes. Bookmark the permalink.